We have one species of Otter in Assynt, the Eurasian Otter, Lutra lutra, and it’s always exciting to see one but our membership administrator Clarinda Chant had a very close encounter at 2pm on 3rd August 2017 near Clachtoll. 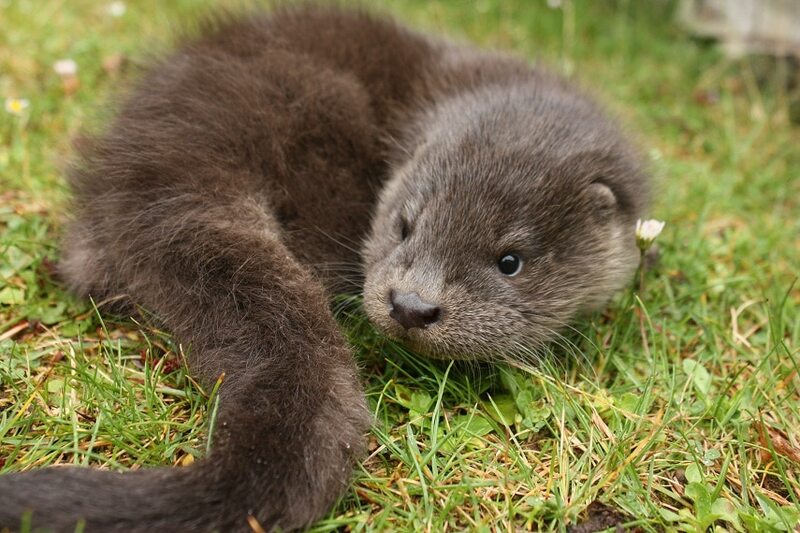 An otter cub was crouched on the edge of the road and several cars in front of Clarinda had swerved round it. Clarinda stopped and could hear the animal calling helplessly so she tried to put it on the grass verge thinking its mum would be close by; despite several attempts it wanted nothing to do with the grass and kept shuffling back to the road. Quandary or what! It is always best not to interfere with any young animal or bird as a parent is most likely nearby and just waiting for you to leave. However, in this case, Clarinda could not leave the otter on the road as it was sure to be killed. She took the decision to pick it up and take it home but, without a suitable carrier, was nervous about the prospect of a loose otter in the car – no problem; once she put it on the car seat it promptly fell asleep. Andy Summers, the Field Club’s Chairman and Highland Council Senior Ranger, was Clarinda’s first phone call and he went straight round. After a quick check that it wasn’t injured Clarinda contacted the International Otter Survival Fund (IOSF) on the Isle of Skye who said they would take it and rear it. A few more phone calls and the transport was arranged as Noel Hawkins the Living Seas Community Officer based in Ullapool agreed, very willingly, to collect the otter from Clarinda and take it to Skye that day. 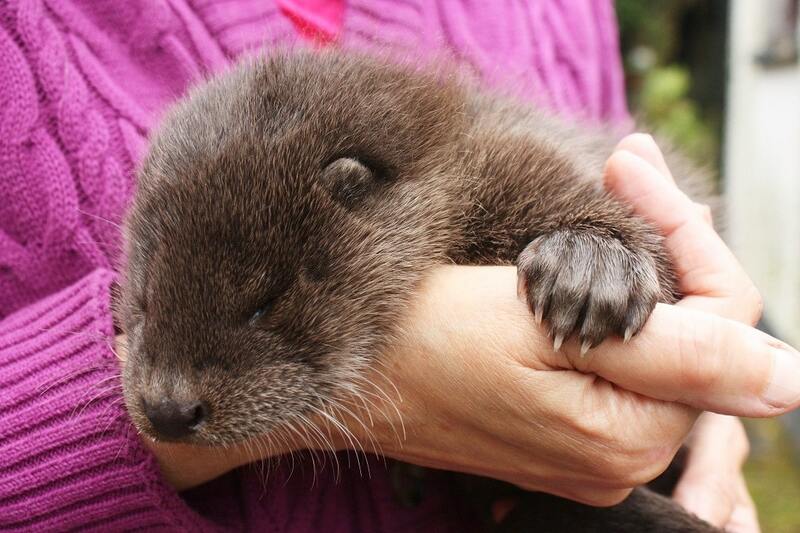 So this very young, female otter is now in the safe hands of the IOSF who have vast experience in dealing with these animals. They will have to feed and ‘house’ it for the next 12-15 months until it can be released back to the wilds of Assynt. The cost of all this care, £1000+! Now, that could have been the happy ending to our story but, a family on holiday had been in the same area as Clarinda at about 5.30pm and could hear a young otter calling, correctly they did not investigate further as they were pretty sure it was just keeping contact with its mum, also, it was nowhere near the road. However, just in case something was wrong they went back at 10.30pm and could still hear it calling; this time they searched for and found it. Next stop Andy’s house. Andy could not believe it but realising that it was badly dehydrated he gave the otter a rehydration feed after which it became a bit livelier! This otter cub was male and was slightly smaller than his sister at 49cm nose to tail tip where she measured 52cm. 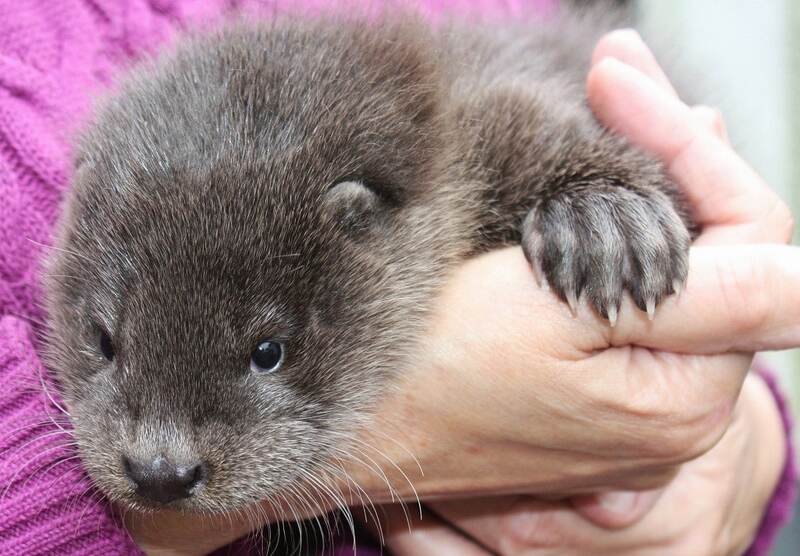 Andy had the time to weigh this second otter and he was 990gms. In addition that day Andy visited the location to try and find the mum who had very likely been hit, and at best, injured by a car and could be hiding in rocks nearby; sadly no sign of her was found. All too often in Assynt, and elsewhere, dead animals are seen on our roads, the vast majority casualties of our simply driving too fast. Of course if an animal bolts across the road at the last second it can be very difficult to react in time, with inevitable results. But to finish with a happy ending we can now say that with good care two orphaned otter cubs, which would not have survived the night, have every chance of thriving and reaching adulthood thanks to the awareness and generous help of many people from Assynt to Skye and several places in between. If you would like to help defray the £2000+ cost of raising these sibling otters then please visit the IOSF website at www.otter.org, thank you.